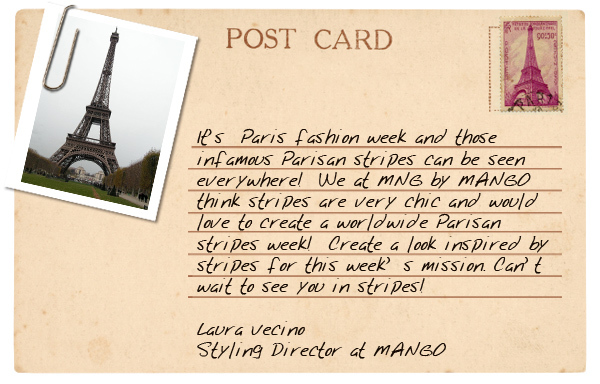 For this week's MNG by MANGO Mission we're heading to Paris. The challenge? Create a look inspired by Parisan stripes. I chose this striped top from the MNG by MANGO line and paired it up with a trench coat also from the collection. 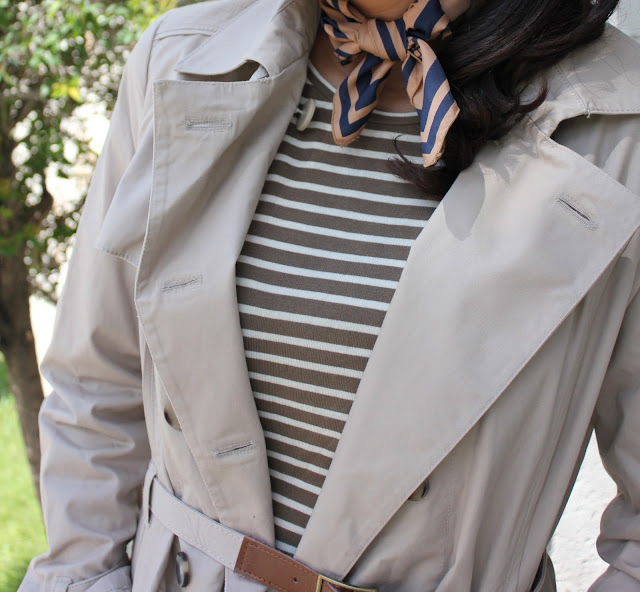 I finished off the look with some black skinny jeans, ballet flats and of course a scarf for a very Paree look. We only have a few more style challenges to go, so make sure to join in on the fun and post your own looks inspired by the European cities. You can find the latest fall fashion from MNG by MANGO sold exclusively at jcpenney. Disclosure: This campaign is produced by Style Coalition and sponsored by jcpenney. Where did you take these pictures? It's a pretty location.